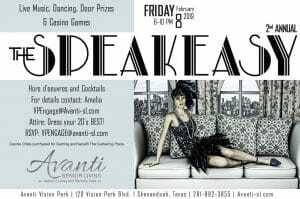 Join us for our second annual Speakeasy Casino Night. You don't want to miss our live music, dancing, door prizes, casino games, hors-d'oeuvres, and cocktails! Casino Chips purchased for Gaming and benefit The Gathering Place.